Software Development Service | Socionext Inc. When reviewing the hardware specifications, it is important to examine the factors that form the basis of your SoC, such as the system startup sequence and power-saving features. 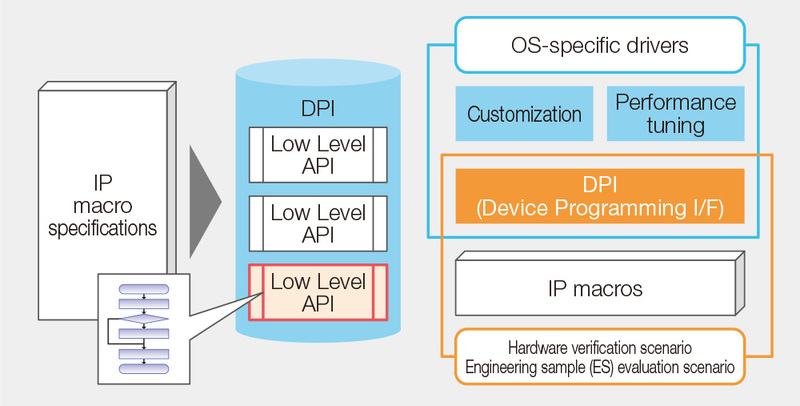 Also, after deciding on the specifications, these need to be embodied in software and checked in terms of the logic verification and board verification phases. Socionext works with you during such phases from the perspective of software development, and supports you in specification design through to board evaluation. All this produces a system that is consistent across hardware and software, ensuring reliability. Various types of subsystem are available for use as the foundation for support services. For details, see the section on subsystems.